Where was the photo taken? 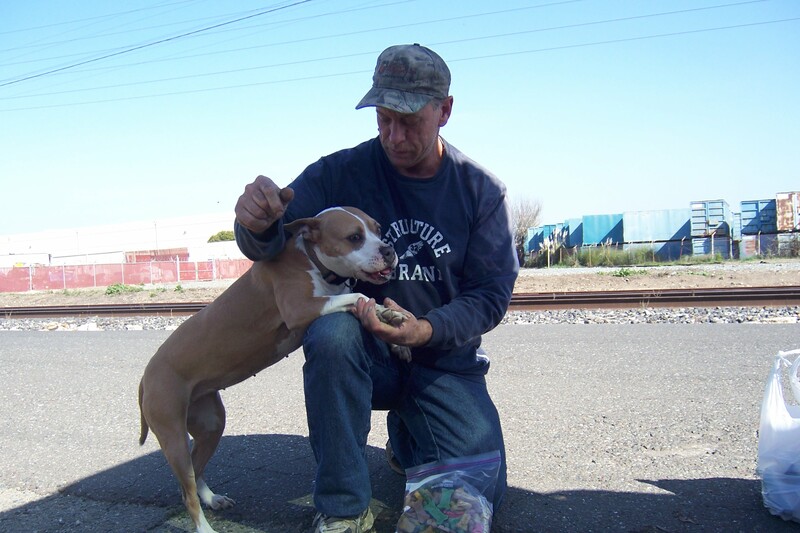 Railroad track in Oakland Calif.
Dean was leaving to get off the street because Someone put his trailer on the train track and left his Dog Angel inside . The train collapsed his trailer and Angel the Dog was ejected. She was hurt bad and her ear Glovened. Pets of Homeless paid her Medical expense. Dean was tired of life on the street. Picture of him Moving on to a new life.